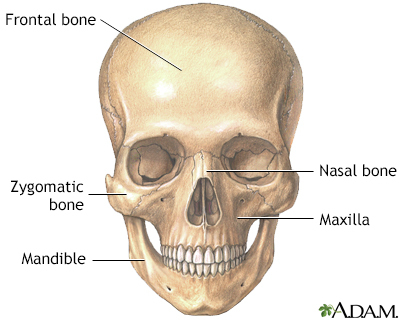 The skull is anterior to the spinal column and is the bony structure that encases the brain. Its purpose is to protect the brain and allow attachments for the facial muscles. The two regions of the skull are the cranial and facial region. The cranial portion is the part of the skull that directly houses the brain and the facial portion includes the rest of the bones of the skull.